As a proud distributor for Hose Master, Arm-Tex provides leading-edge stainless steel braided hoses for gas and liquid transfer. Using a proprietary hydroforming process and other innovative manufacturing technologies, Hose Master produces premium, high-performing corrugated hose in a variety of alloys. Made using the same process used to make Annuflex hose, Masterflex Stainless Steel Braided Hoses have an increased number of corrugations per foot, allowing for greater flexibility. This unique characteristic makes Masterflex hoses ideal for applications demanding high flexibility. At the same time, Masterflex hoses maintain good pressure ratings to ensure reliability and durability even under harsh circumstances. Stainless Steel braided hose by Master Flex are uniquely suited for the LPG, LNG, and other cryogenic liquid gas tranfers. For nearly three decades, Arm-Tex has provided the world's best products to customers working throughout the petroleum and chemical industries. During this time, we've cultivated enduring partnerships with the market's best brands, allowing us to deliver leading-edge solutions for our clients' most difficult challenges. 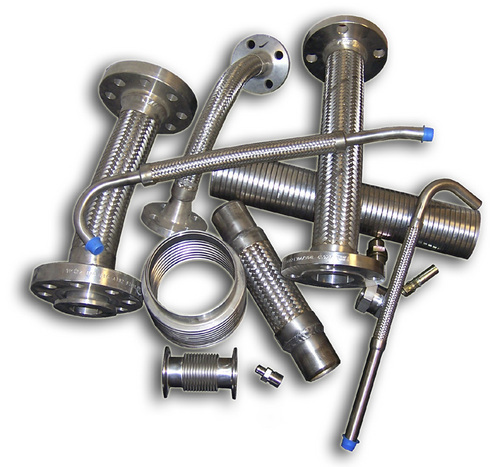 Contact our office to learn more about Masterflex Stainless Steel Braided Hoses. Our experienced staff is happy to answer your toughest questions and make recommendations based on your specific requirements.